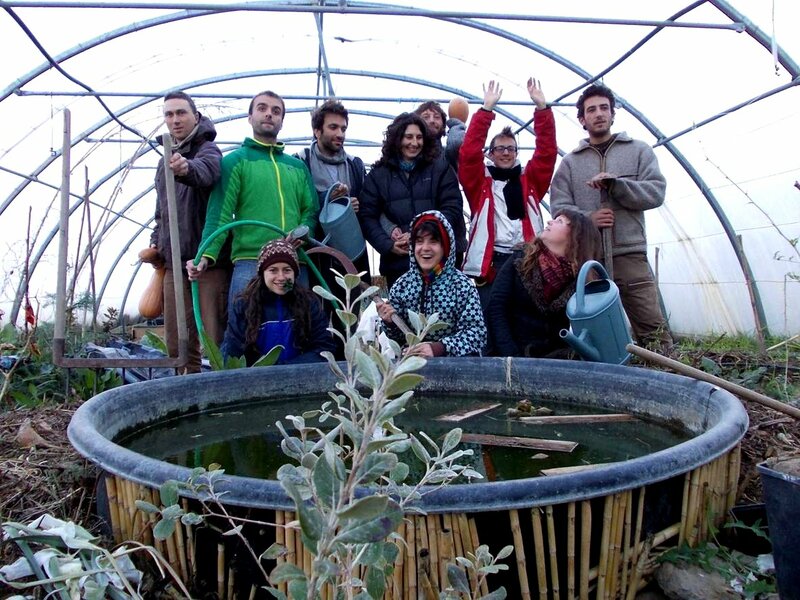 Le Champ des Possibles is a non-profit organisation that brings together people of all ages and backgrounds who share the human values of Permaculture, of ways of living wich are respectful of nature and man-kind, as well as food sovereignty.We currently organise activities and workshops about Agroecology and the environment and we support various collective projects which are relevant to our goals and values. Because we believe that a pinch of practice is worth more than a ton of theory, we have decided to create a Permaculture Cafe that will illustrate our core values and pholosophy through action. Our goal is to create a connection between us, people, and the land that we inhabit, a land that also sustains and inspires us: craftsmen, artists, farmers, etc. We have therefore decided to open an alternative venue: an organic cafe. A cultural place where lectures, concerts and film screenings will occur according to our vision of communal event planning, the events themselves being the result of communal planning. We want to create an open space in which all are welcome to come and share, educate ourselves, and discuss the issues that we all face as citizens. We want to offer an alternative venue with quality organic and local products, open to all cultural activities and cuisine. The consumption of local products will be a pretext for social and intergenerational interactions and projects around the subjects of ecology, responsible citizenship and popular education. We would like to create a place that will host cultural events that enrich our city. The Cafe will be a place where we can organize conferences, screenings and concerts that are open to all, whether you live here or are just passing through. We want to create an alternative place, a place of “non-consumerism” where differences and alternatives are encouraged. We want to people the opportunity to enrich themselves, open to other perspectives and to learn from others and teach what they knows – with perfect freedom. To carry out this project, we have decided to rely on a crowdfunding campaign that we plan to launch via ulule.com. As soon as the campaign launches, anyone can make a donation to fund the start of our Permaculture Cafe and receive a perk that matches the amount given. While we prepare for the campaign launch, you cab help us by helping us to spread our online identity, our philosophy and messages via these social networks! Visit our Facebook page, click on “Like” and on “Receive notifications”. Then click “Like” and “Share” when we publish content so that our communications reach a greater number of people. If you tweet, join us and let’s tweet together! Your +1s and shares will help us spread our identity, our philosophy and our message on the web. Sign-up to our mailing list !